The judge in the ebook price-fixing case speaks up again. Meanwhile, Apple gets ready to make an important trade and, elsewhere, incorporates a water feature into one of its stores. 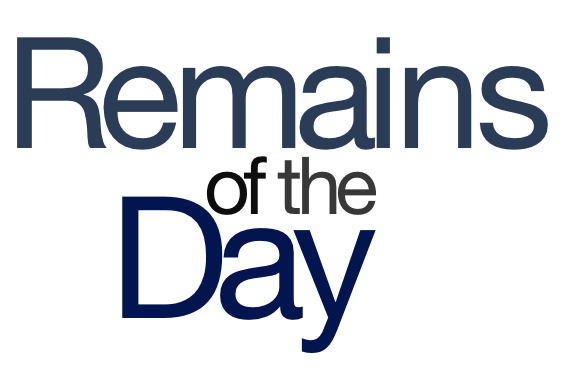 The remainders for Tuesday, August 27, 2013 object most strenuously. On the heels of Apple complaining about the most recent proposals from the Department of Justice in the ebook price-fixing case, Judge Denise Cote has said she doesn’t want to intrude on Apple’s own business. Her approved remedies for the case are due next week, but we’re going to assume that they’re more than aspirin and chicken soup. The iPhone trade-in program may launch as soon as the end of this very week in select Apple Stores, says a report by 9to5Mac. My only question is: How many old iPod nanos do I need to tape together to trade in for a new iPhone? Speaking of Apple Stores, Cupertino’s attempt to launch a store in San Francisco’s Union Square ran afoul of a much beloved fountain that stood on the site. Fortunately, a redesign from Apple incorporates the fountain into its plan. So now you can void your warranty on your iPhone while you’re at the Apple Store. Apple’s rumored to be holding an iPhone event on September 10, but could that day also see the launch of iOS 7? An email from Nuance—whose speech-recognition software powers Siri—suggests that it just might. Unfortunately, when I asked Siri to confirm, the intelligent assistant was…decidedly evasive. Announcing Apple’s latest Mac mini.